People are sharing their most embarrassing moments so strangers can revel in their pain. @TheBloggess I was once thanked by a grieving family member for coming to the funeral. I responded, " no, thank YOU!!" Worst!!! @TheBloggess I texted my boss at the end of my FIRST DAY in the new job with: “Heading out. Love you.” intended for my boyfriend. @TheBloggess The director of my play asked the audience to "turn off their phones and vibrators" instead of setting phones to vibrate. 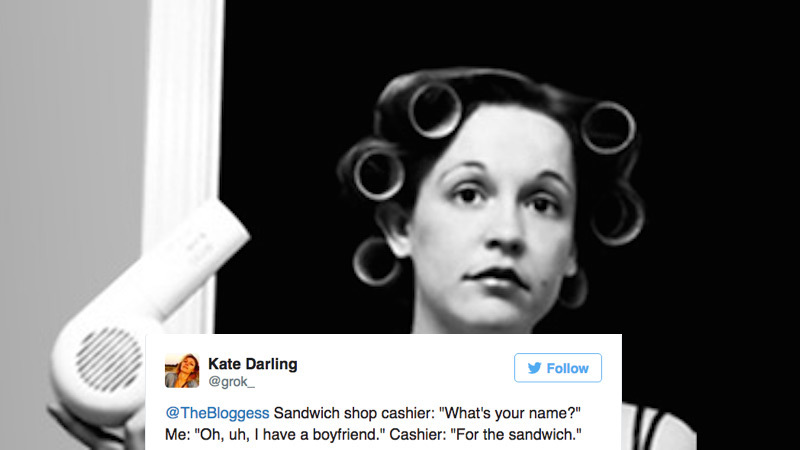 @TheBloggess Sandwich shop cashier: "What's your name?" Me: "Oh, uh, I have a boyfriend." Cashier: "For the sandwich." @TheBloggess A friend went placed her order at drivethru. She then heard "Could you drive up to the speaker you're talking to the trash can"